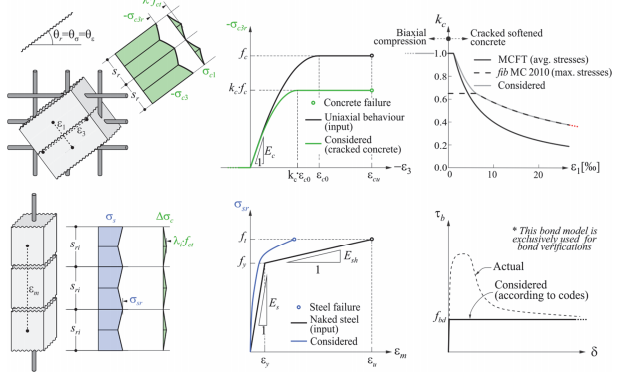 In order to obtain realistic results in IDEA StatiCa Detail, tension stiffening is accounted using the Tension Chord Model, which is also used for calculating the crack widths (using effective concrete areas compatible with code requirements). The figure below summarises the basic assumptions, including the stress-strain relationships of concrete and reinforcement. Find out more: Structural Concrete Design in the 21st Century: Are Limit Analysis Methods Obsolete?